The ix modeling platform (ixmp) is a data warehouse for high-powered numerical scenario analysis. 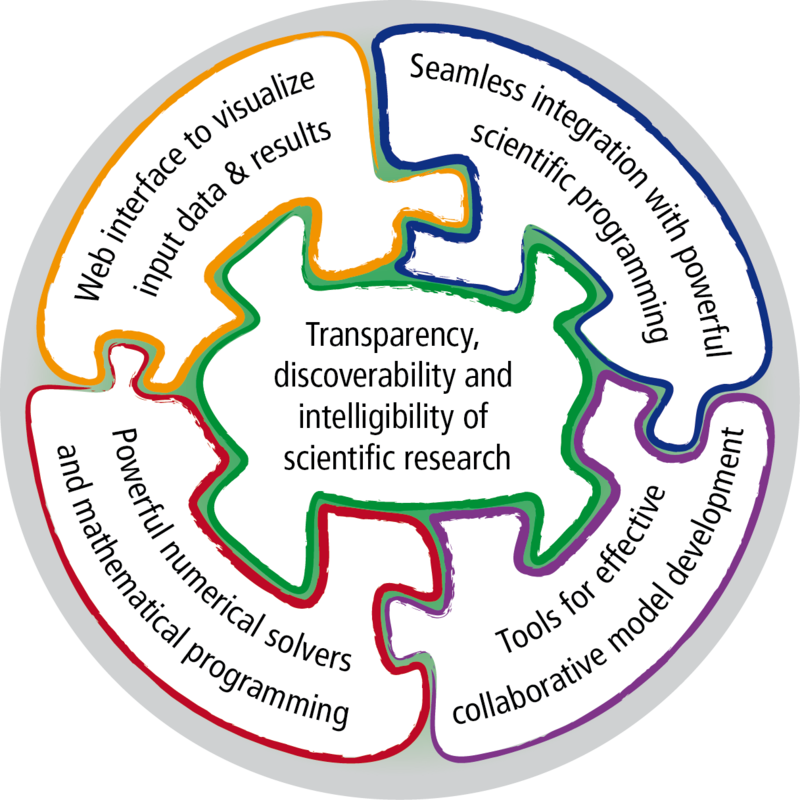 It is designed to provide an effective framework for integrated and cross-cutting analysis (hence the abbreviation ix). 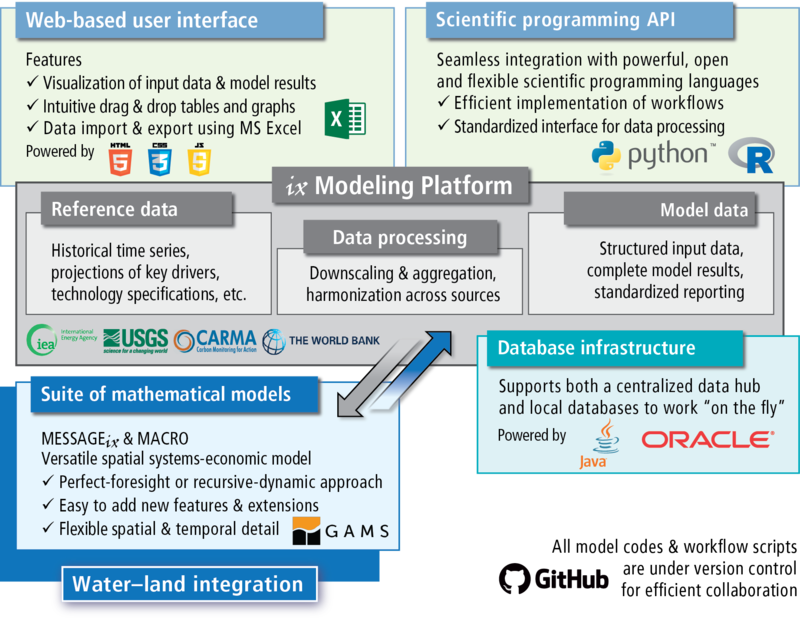 The framework allows an efficient workflow between original input data sources and the implementation of the mathematical model formulation, via both a web-based user interface and application programming interfaces (API) with the scientific programming languages Python and R. The platform also includes an API with the mathematical programming software system GAMS. For the scientific reference, see Huppmann et al. (submitted) . MESSAGEix and the ix modeling platform are licensed under an APACHE 2.0 open-source license. See the LICENSE file included in this repository for the full text. Please read the NOTICE included in this repository for the user guidelines and further information. The community mailing list for questions and discussions on new features is hosted using Googlegroups. Please join at groups.google.com/d/forum/message_ix and use <message_ix@googlegroups.com> to send an email to the MESSAGEix user community. Refer to the page on technical requirements for a list of dependencies, installation instructions, and other information on getting started. For an introduction to the ix modeling platform, look at the tutorials at tutorial/README. The documentation of the scientific programming APIs are built directly from documentation mark-up in the source respective source codes.